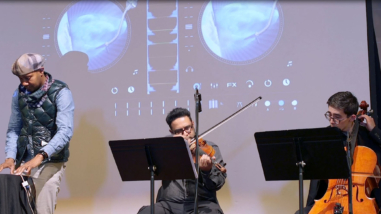 The Kronos Quartet is known around the world for reimagining the string quartet through performance of contemporary music, commissioning of new works, and exploration of new instruments and sounds. Kronos manages its extensive yearly programming, which includes twenty-two weeks of national and international live concert tours, performing for more than 150,000 audience members. The organization’s programming is extended through audio recordings, podcasts, and twenty-four multi-day residencies and workshops. 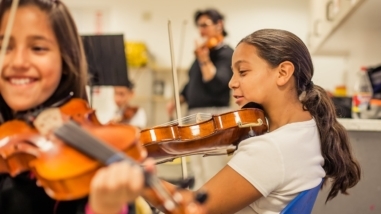 During the grant period, Kronos intends to begin archiving its voluminous inventory of music. Kronos also plans to launch the Fifty for the Future initiative, commissioning ten new works each year—half from women composers—for five years, designed expressly for the training of students and emerging professionals, establishing a permanent legacy beyond the life of the quartet.